chocolate | Live. Love. Breathe. This is for all you chocolate lovers who want to treat yourself with guilt free morsels of goodness. I present to you my favorite sweet treat, chocolate covered blueberries. These are not your typical store bought, packed with preservatives, sugar-loaded blueberries. These delicious little nuggets burst will natural blueberry flavor and satisfy any chocolate cravings without inundating your taste buds with sweetness. You will be pleased to know that they have only 4 ingredients and no added sweeteners. Mix equal parts coconut oil and cocoa and add a healthy dash of cinnamon, stir until well mixed. 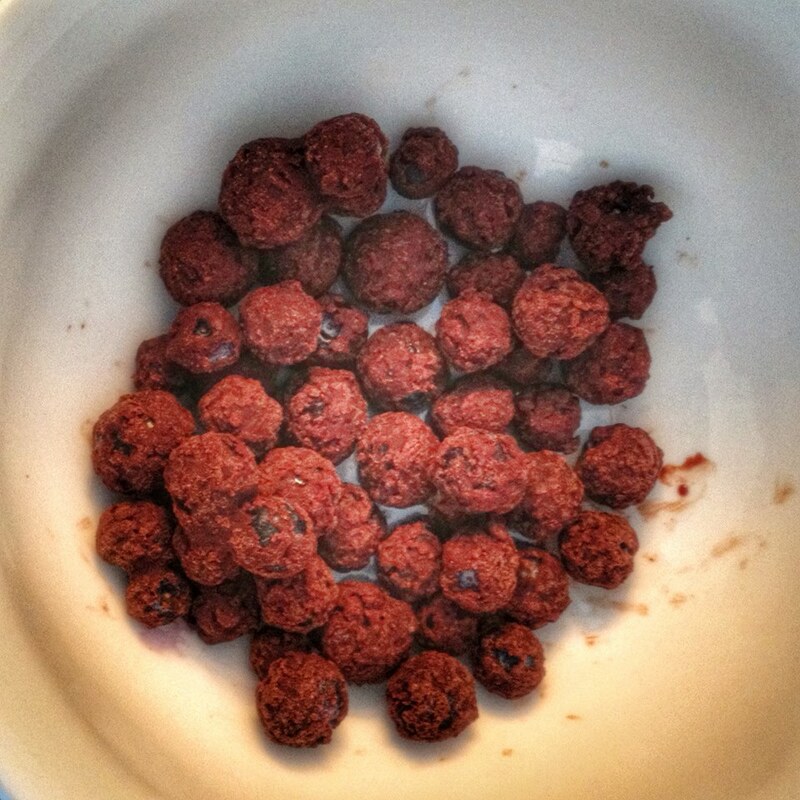 Pour blueberries into a bowl and drizzle a tsp of chocolate at a time over them, stirring constantly. The chocolate hardens almost immediately so stir as soon as you pour the chocolate. Keep drizzling and stirring until all of the berries are completely coated. I usually make a small jar of the chocolate and keep it in the pantry for when I have a craving for these. Make sure not to store somewhere cold or it will harden.